Square Enix's latest epic adventure, Nier, is off to a good start in Japan, with the only available in Japan version, Neir Replicant, topping the country's weekly software sales chart. 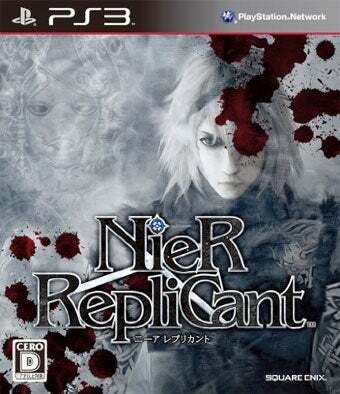 Japan also has access to the other version of Nier, known as Nier Gestalt and released on the Xbox 360, but it didn't fare as well as the version starring a younger Nier. The version tailored to Western audiences managed to crack the top 30, but not the top ten. There were a handful of other releases and re-releases scoring top ten showings, including the "Game of the Year" edition of The Elder Scrolls IV: Oblivion and the latest Ys role-playing game for the PSP. The rest of the Media Create top ten contains mostly evergreen Nintendo titles, like New Super Mario Bros., edging ever closer to the 4 million mark in Japan, and Nintendo DS game Tomodachi Collection. For the top 30 bestselling games in Japan for the week of April 19 to 25, read on.